After reflecting upon last year’s low freshman turnout, Chika Ogiue, the new president of Shiiou University’s “Society for the Study of Modern Visual Culture” (aka Genshiken) seeks out new freshman members to join. At the freshman welcoming hall, while stealing angry glances at Kanako Ohno, the previous club president (who was having fun cosplaying, as usual), puts on a flashy drawing performance. Suddenly two girls, freshmen Rika Yoshitake and Mirei Yajima, respond to her performance by joining the club. It turns out the girls have a reputation as “dirty girls” just like Chika, and the three birds of a feather do indeed flock together. Meanwhile, a clean-cut beauty with chestnut hair appears at the club office asking to join up. 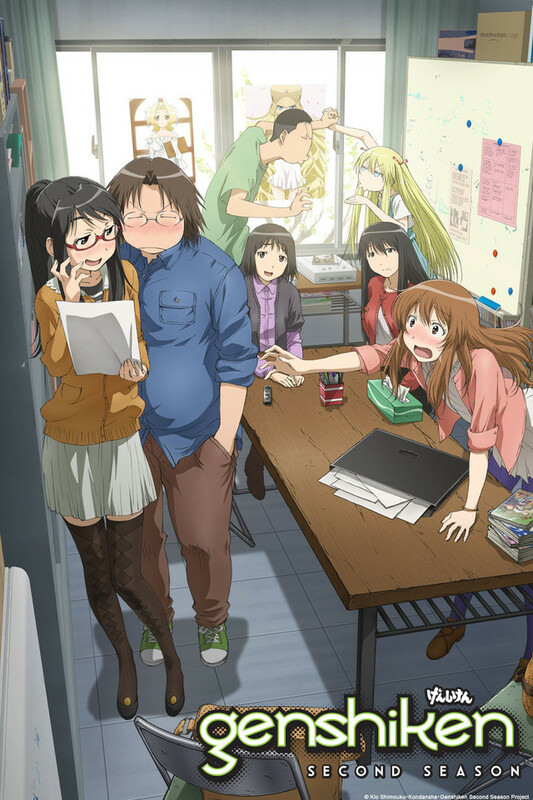 But as it turns out, she’s actually a cute boy in drag... With new and unique freshmen members onboard, things in Genshiken Second Season are about to heat up!